(Verso) Dated and titled in pencil. Now living in Australia, Gill was born in Singapore and raised in Malaysia. Her art explores the many different cultures and influences that define personal identity and a sense of belonging to a particular place. In her series Forest, she tore pages from specific books that were significant to her, fashioned the paper into organic forms, and then photographed them in tropical settings. 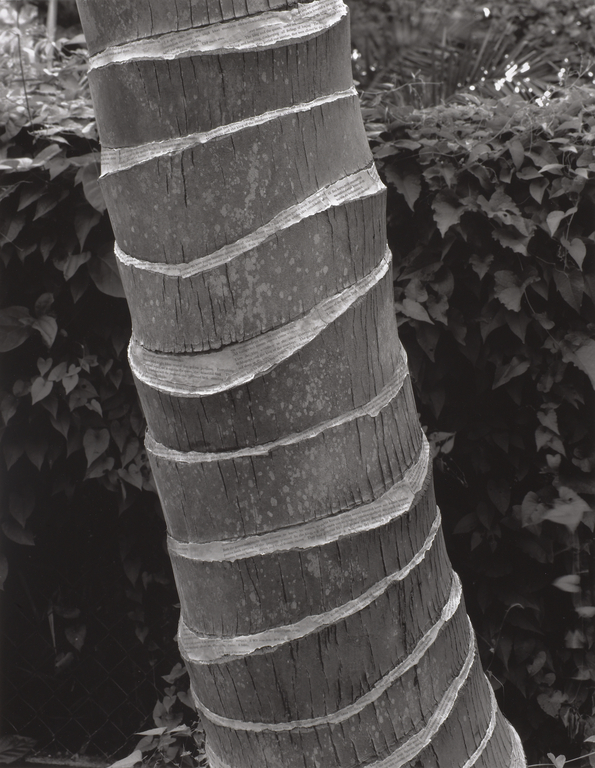 In this print, the trunk of a coconut tree is wrapped in paper strips that form rings around the bark, creating a visual pun that suggests both the history of the tree and the artist's own story. Gill, Simryn. Simryn Gill, exh. cat. (Cologne, Verlag der Buchhandlung Walther König, 2008), pp. 83, 108.